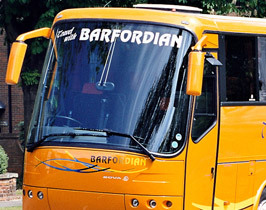 Coach Special Offers & Short breaks in the United Kingdom & Europe. If you have any questions regarding the personal pick up service, please call our office and we will be glad to advise. **Please note that although we operate feeder coaches for most tours, some passengers will inevitably be on board for longer than others, depending upon the route. ***Exclusions may apply according to final destination. Information on our services will be posted here as it occurs.